Changes to London’s Congestion Charge mean that thousands of motorists will be forced to pay at least £10 to enter the capital as the threshold for CO2 exemption is lowered from 100g/km to 75g/km of CO2. However, there’s still a broad range of pure electric vehicles and plug-in hybrids that will qualify for exemption from the London Congestion Charge, and with free road tax and greatly reduced fuel costs it could be argued there’s never been a better time for commuters to go green and buy a fuel-efficient car. What’s more, London has one of Europe’s largest on-street charging networks, making electric cars more viable than ever. We’ve put together a list of the cars that will beat the Charge and potentially save you thousands. Please note that all prices are inclusive of the Government’s Plugged-In Car Grant (PiCG) of £5000. The Zoe was heralded as an innovation when it was unveiled at the 2005 Geneva Motor Show, with Renault filing 60 patents during its development. 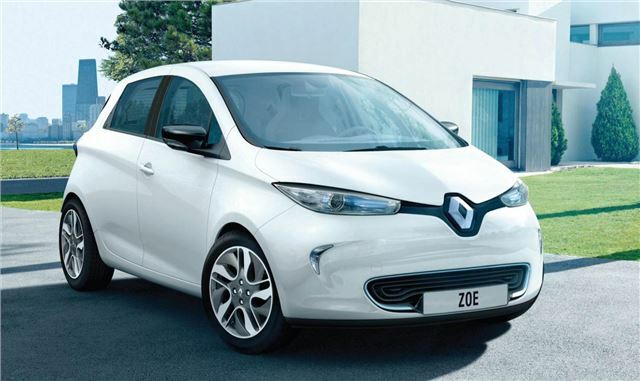 Indeed, the Zoe features a raft of energy saving technology, which includes a new electric engine with a wound rotor, regenerative braking and a heater system that doesn’t impact on the vehicle’s range. The Zoe’s electric motor produces 88PS and 219Nm of torque, while the car’s battery boasts a maximum range of 130 miles between charges. The battery can fully recharge in six to eight hours, with an option to quick charge to provide a range of 31 miles in just 10 minutes. However, unlike some EVs on the market, the battery isn’t included in the price of the car and a mandatory £70 monthly fee applies for rental of the lithium-ion unit. Sponsored content: Could you be better off with a ZOE?